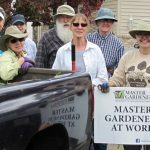 When you graduate from the UW-Extension or another accredited Master Gardener Volunteer Program, you become eligible to join the Wisconsin Master Gardener Volunteer Association. This organization connects you to a statewide network of Master Gardeners. 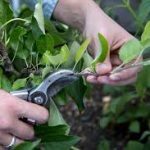 You’ll receive a newsletter that lists gardening events around the state, includes informative articles from area specialists, and details activities of the association and local Master Gardener Volunteer groups. The association sponsors an annual meeting and conference in spring where you can meet fellow Master Gardener Volunteers and attend workshops. The association also provides educational grants to local Master Gardener Volunteer groups for continuing educational program. In 2019, the Marathon County Association has 78 active members. We were organized in 1995 beginning with a membership of 6 people meeting at the Marathon County Court House with Elaine Heil-Stark as our first president. In the short time we’ve been together we strive to be the premier source for gardening information in the community. 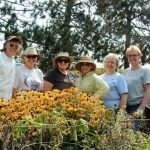 We do this by continually learning and then volunteering our time and sharing our gardening knowledge and enjoyment with other master gardeners and residents in North Central Wisconsin.